President Barack Obama's attempt to put China in the frame for climate change talks failure had its origins in the absence of American campaign finance reform, writes George Monbiot. The last time global negotiations collapsed like this was in Doha, in 2001. After the trade talks fell apart, the World Trade Organisation assured delegates that there was nothing to fear: they would move to Mexico, where a deal would be done. The negotiations ran into the sand of the Mexican resort of Cancún, never to re-emerge. After eight years of dithering, nothing has been agreed. When the climate talks in Copenhagen ended in failure last week, Yvo de Boer, the man in charge of the process, urged us not to worry: everything will be sorted out "in Mexico one year from now". Is Mexico the diplomatic equivalent of the Pacific garbage patch: the place where failed negotiations go to die? De Boer might pretend that this is just a temporary hitch, but he knows what happens when talks lose momentum. A year ago I asked him what he feared most. This is what he said. "The worst-case scenario for me is that climate becomes a second WTO … Copenhagen, for me, is a very clear deadline that I think we need to meet, and I am afraid that if we don't then the process will begin to slip, and like in the trade negotiations, one deadline after the other will not be met, and we sort of become the little orchestra on the Titanic." We can live without a new trade agreement; we can't live without a new climate agreement. One of the failings of the people who have tried to mobilise support for a climate treaty is that we have made the issue too complicated. So here is the simplest summary I can produce of why this matters. Human beings can live in a wider range of conditions than almost any other species. But the climate of the past few thousand years has been amazingly kind to us. It has enabled us to spread into almost all regions of the world and to grow into the favourable ecological circumstances it has created. We enjoy the optimum conditions for supporting seven billion people. 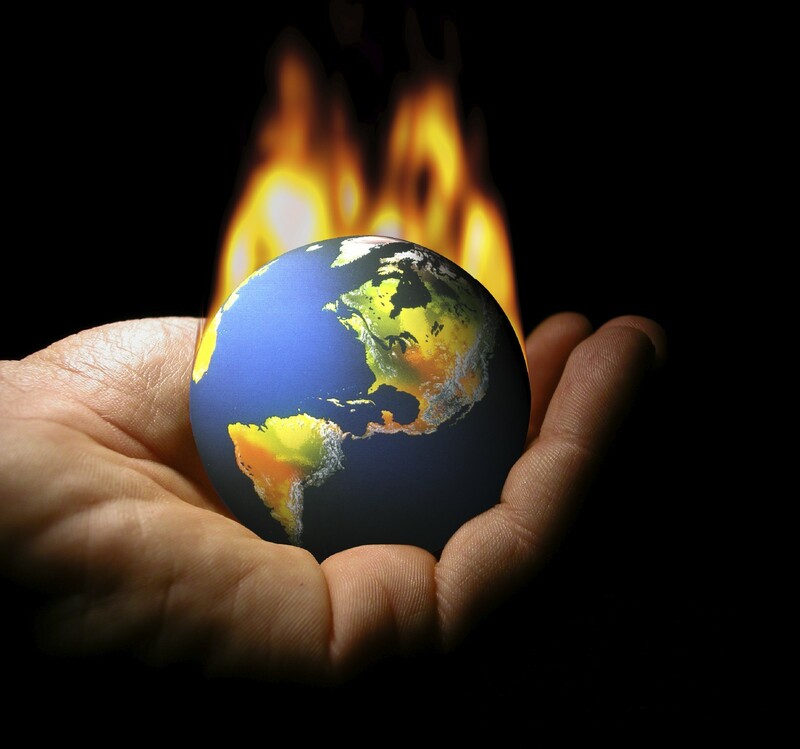 A shift in global temperature reduces the range of places which can sustain human life. During the last ice age, humans were confined to low latitudes. The difference in the average global temperature between now and then was 4C. Global warming will have the opposite effect, driving people into higher latitudes, principally as water supplies diminish. Food production at high latitudes must rise as quickly as it falls elsewhere, but this is unlikely to happen. According to the body that summarises the findings of climate science, the Intergovernmental Panel on Climate Change, the potential for global food production "is very likely to decrease above about 3C". The panel uses the phrase "very likely" to mean a probability of above 90%. Unless a strong climate deal is struck very soon, the probable outcome is a rise of 3C or more by the end of the century. Even in higher latitudes the habitable land area will decrease as the sea level rises. The likely rise this century – probably less than a metre – is threatening only to some populations, but the process does not stop in 2100. During the previous interglacial period, about 125,000 years ago, the average global temperature was about 1.3C higher than it is today, as a result of changes in the earth's orbit around the sun. A new paper in the scientific journal Nature shows that sea levels during that period were between 6.6 and 9.4 metres higher than today's. Once the temperature had risen, the expansion of sea water and the melting of ice caps in Greenland and Antarctica was unstoppable. I wonder whether the government of Denmark, whose atrocious management of the conference contributed to its failure, would have tried harder if its people knew that in a few hundred years they won't have a country any more. As people are displaced from their homes by drought and rising sea levels, and as food production declines, the planet will be unable to support the current population. The collapse in human numbers is unlikely to be either smooth or painless: while the average global temperature will rise gradually, the events associated with it will come in fits and starts – in the form of sudden droughts and storm surges. This is why the least developed countries, which will be hit hardest, made the strongest demands in Copenhagen. One hundred and two poor nations called for the maximum global temperature rise to be limited not to 2C but to 1.5C. The chief negotiator for the G77 bloc complained that Africa was being asked "to sign a suicide pact, an incineration pact, in order to maintain the economic dominance of a few countries". The immediate reason for the failure of the talks can be summarised in two words: Barack Obama. The man elected to put aside childish things proved to be as susceptible to immediate self-interest as any other politician. Just as George Bush did in the approach to the Iraq war, Obama went behind the backs of the UN and most of its member states and assembled a coalition of the willing to strike a deal that outraged the rest of the world. This was then presented to poorer nations without negotiation: either they signed it or they lost the adaptation funds required to help them survive the first few decades of climate breakdown. The British and US governments have blamed the Chinese government for the failure of the talks. It's true that the Chinese worked hard to mess them up, but Obama also put Beijing in an impossible position. He demanded concessions while offering nothing. He must have known the importance of not losing face in Chinese politics: his unilateral diplomacy amounted to a demand for self-abasement. My guess is that this was a calculated manoeuvre guaranteed to produce instransigence, whereupon China could be blamed for the outcome the US wanted. Why would he do this? You have only to see the relief in Democratic circles to get your answer. Pushing a strong climate programme through the Senate, many of whose members are wholly-owned subsidiaries of the energy industry, would have been the political battle of his life. Yet again, the absence of effective campaign finance reform in the US makes global progress almost impossible. So what happens now? That depends on the other non-player at Copenhagen: you. For the past few years good, liberal, compassionate people – the kind who read the Guardian – have shaken their heads and tutted and wondered why someone doesn't do something. Yet the number taking action has been pathetic. Demonstrations which should have brought millions on to the streets have struggled to mobilise a few thousand. As a result the political cost of the failure at Copenhagen is zero. Where are you. Is this music not to your taste, sir, or madam? Perhaps you would like our little orchestra to play something louder, to drown out that horrible grinding noise.